On Windows 10 or 8 operating systems that came pre-installed on the computer from the factory, the legacy BIOS has been replaced by UEFI (Unified Extensible Firmware Interface). This will cause the problem that bootable media from previous versions of Windows may not be recognized in Windows 10 / 8 computer. To resolve this problem, you need to switch your BIOS mode from UEFI BIOS to Legacy BIOS. No doing so would prevent the installation of Linux, Windows 7, or any other OS. In this tutorial we’ll show you 3 ways to access UEFI BIOS Setup, even if you couldn’t login to Windows 10 or 8. In Windows 8/8.1, press the Windows key + C, or swipe in from the right edge of the screen to open your Charms. Click Settings -> Change PC Settings. 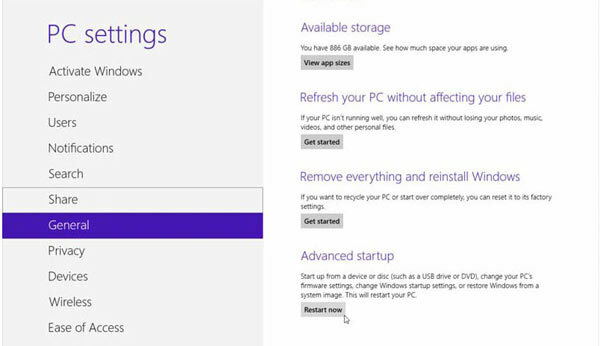 In PC Settings, select General. If you’re running Windows 10, press the Windows key + I to open the Settings app. Click Update & Security. Select the Recovery tab on the left pane. Under Advanced startup, click Restart now. The system will restart and show the boot menu. When the computer restarts, the UEFI setup screen will be displayed. You can then disable UEFI BIOS and Secure Boot options, and enable legacy BIOS mode. 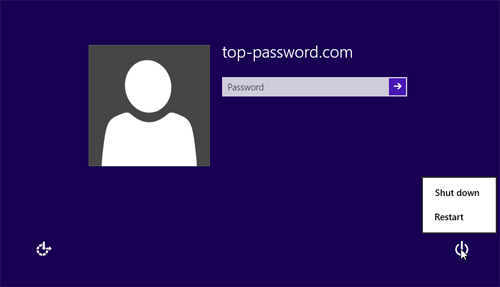 From the login screen, click the Power icon in the lower right corner of the screen. While holding the Shift key, select Restart. The system will not actually restart but go into the boot options. click Troubleshoot. Afterwards, click Advanced options -> UEFI Firmware Settings -> Restart. The computer will reboot and take you into the UEFI BIOS setup. You’ll get a popup that says Windows is about to sign you out. Click Close. 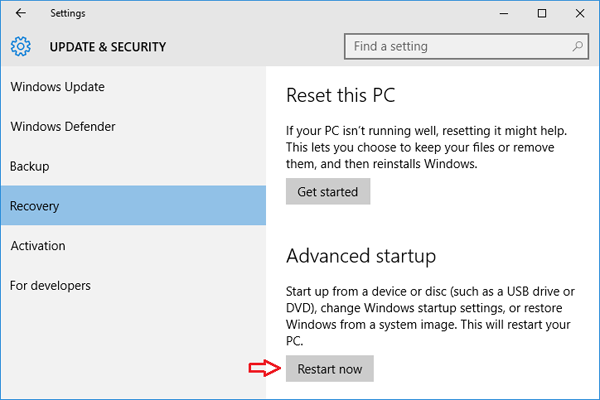 Your PC will now restart directly to UEFI settings.